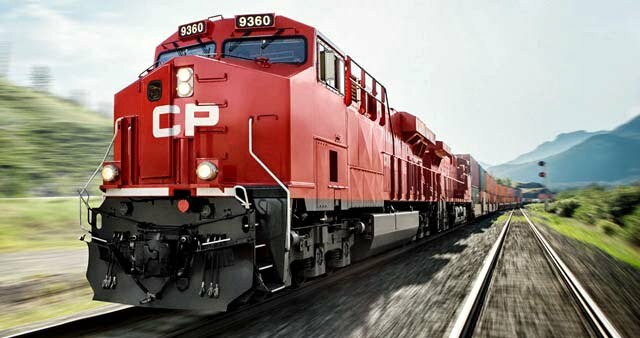 CP RAIL SAFETY CONCERNS | South Rosedale Residents' Assoc | The SRRA is one of Canada’s oldest ratepayer groups. Formally incorporated in 1931, the Association is committed to providing South Rosedale’s residents with a strong voice relative to the area’s unique position as one of Toronto’s most desirable residential communities. Since 2012, when crude petroleum oil first began moving by rail in large quantities, there have been eight major accidents involving trains carrying crude oil in North America. In the worst of these incidents which occurred in July 2013, a train derailed at Lac-Mégantic, Quebec and exploded, killing 47 people and destroying almost a quarter of the town. Six months later, another crude-bearing train derailed and exploded in Casselton, North Dakota, prompting the evacuation of most of the town’s 2,300 residents. In the last month, there have been two train derailments involving crude oil in Northern Ontario. The type of general-service tank car involved in recent incidents with crude oil trains in Quebec, Alabama and North Dakota – the DOT-111-A – has a poor safety record with hazardous cargoes that goes back decades, raising questions about why it has taken so long for the railroad industry and governmental regulators to address the problem. About 92,000 DOT-111 tank cars are in use in North America. Of these, 78,000 lack extra safety features. Most tank cars are leased by oil companies, or other firms moving liquid products by rail and safety standards appear difficult to update. The vulnerabilities of the DOT-111 tank cars in which much of the oil is moved are now well known. For decades, experts have cited concern over their relatively tank thin shells which are prone to puncturing, or rupturing in an accident and releasing the hazardous material inside. They also have other components prone to damage, including protruding fittings often left unprotected, and hinged lids held on by bolts that have a history of coming loose, especially if not properly tightened by the original shipper. When a tank car full of oil ruptures, the consequences can be dire. At a panel held by the U.S. National Transportation Safety Board in April of 2014, one technical expert with the agency described a “fireball release,” in which “the entire contents of the tank car, up to 30,000 gallons, is instantly released, along with the potential for rocketing car parts.” When one tank car ignites, the heat can also set off a chain reaction, causing other cars to explode as well. The CP tracks along both South and North Rosedale’s northern boundary in fact predate the most of the residential and commercial area that runs adjacent. Despite owning a widespread network of tracks across North America, surprisingly the only CP track connecting Canada east-to-west is the line traversing Rosedale and mid-town Toronto. Due to these recent rail catastrophes, the SRRA is now much more concerned about the safety-related details of CP’s freight traffic and it will keep residents informed of important developments regarding this issue through our website and Newsletter. The New York Times has posted an excellent, brief video that outlines the major concerns over rail transportation of crude oil.